With LDS General Conference solidly underway, I’ve been thinking a little bit about Mitt Romney, and the presidential contest. Mostly, I’m wondering what the Obama campaign is going to do if Romney gets the Republican nomination (and it looks like he should). There are plenty of things to attack him with as they relate to policy, but I worry that the real focus of the campaign is going to devolve into how horrifyingly weird and backward Mormons are. 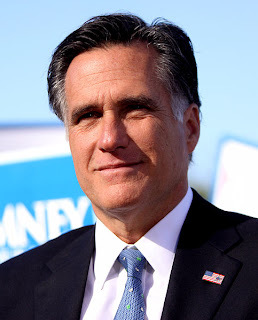 So far, the Left hasn’t done much in terms of attacking Romney for his Mormonism. Obama and other liberal politicians haven’t had to. Fellow Republicans have been doing a fine job of attacking Romney’s religion throughout the primaries. And, while polls show that, in general, liberals dislike and distrust Mormons more than conservatives do, so far that hasn’t translated into very many presidential-race type attacks on Romney for his faith. I’m really hoping that Obama and his advisers remember that there are liberal Mormons running around. Mormons aren’t just a monolithic bloc. We think of Mormons as living in conservative Utah, and it’s easy to assume that Mormons are a throw-away population that politicians, particularly those of liberal bent, don’t need to worry about. However, only 12% of all Mormons live in Utah. It’s true that there are more Mormons living outside the United States now than living in it. However, it’s also important to realize that there are plenty of Mormons living in the U.S. that identify themselves as liberals. Just ask Harry Reid and Larry Echo Hawk (who just resigned from a position as an Obama appointee to be a member of the Seventy). And there are Mormons living in all 50 states — even here in Utah — that self-identify as liberals. I identify myself as liberal, and I’m a practicing Mormon. With a calling and everything. Liberals generally pride themselves on tolerance and openness to people who are different. It would be extremely disappointing to me to see Obama’s campaign relying on attacks on someone’s religion, rather than focusing more on policy issues. What the campaign really needs to focus on is combatting the misinformation out there, and really getting the message out on the administration’s accomplishments. I know the LDS Church makes an easy target. Few Americans know much about us. Anti-Mormonism is an acceptable sentiment. Mormons have beliefs that many think are weird. We engage in strange practices. The history of the LDS Church, like the rest of human history and religious history, is marked by people doing stupid (and sometimes horrifying) things in the name of God. But being an easy target doesn’t mean that we should be. Romney could be an easy target for some many other reasons: Tax policy, health policy, economic policy. Things that make an actual difference to all of us. Reducing the campaign to showcasing how “weird” and “dangerous” Romney is because he’s Mormon would introduce yet another low point in American political discourse. ← Are Wealthy People Really Unethical? I complete agree!! I tend to be more of a liberal myself. Though I try not to classify myself as Republican or Democrat. Just like when Obama was running in 2008, I would hope people do not vote based on things like religion and race. People should not vote for someone because they disagree with policies and the platform the candidate runs on. I hope people do the same with Romney. I hope and pray there is not open discourse bashing Mormonism that does not relate to a Presidential race. Though there are times I worry about the intelligence of the average American because there are still SO MANY people in this country who still think Obama is a Muslim so I guess what is standing in the way of people attacking Romney for being a crazy Mormon!